Scripture is then part of the Spirit-given means, along with the koinonia of the church and the strange new-Temple significance of the sacraments, by which the people who find themselves in Act 5 [i.e. the church age] are able to improvise appropriately as they move towards the ultimate goal. The Bible is not an end in itself, in other words. It is there so that, by its proper use, the creator may be glorified and the creation may be healed. It is our task to be the people through whom this extraordinary vision comes to pass. We are thus entrusted with a privilege too great for casual handling, too vital to remain a mere matter of debate. This paper, adapted from something Wright wrote in 1991, has been published in six parts over the last month at The BioLogos Forum: N.T. Wright on Scripture and the Authority of God, Part 1, Part 2, Part 3, Part 4, Part 5, Part 6 (the quotation above is taken from part 6). This seems rather unconventional material for BioLogos, but it is certainly an excellent paper. In May I wrote about The Kingdom New Testament, the new title for N.T. Wright’s new version. As I noted in an update two days ago, the former Bishop of Durham’s translation is now scheduled for publication on 25th October, by HarperOne (a Murdoch company) and can be ordered from Amazon.com – but not from Amazon.co.uk . 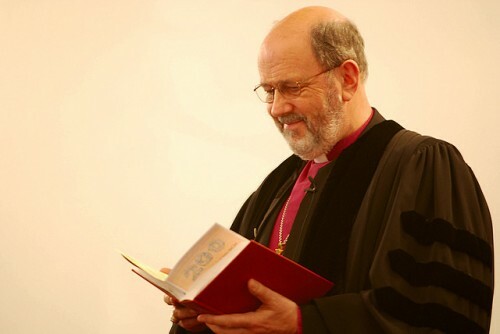 I thank Theophrastus for the information, at the new BLT blog, that apparently the same version has been published in the UK under a different title, The New Testament for Everyone . This is presumably why the American title is not on offer in the UK. The UK version, published by SPCK (nothing to do with the Murdochs), is already available – it was published in July. I presume that US readers can order the UK version from Amazon.co.uk, as Theophrastus, at least, has a copy. I wonder why yet another title has been chosen for this UK edition, after “The King’s Version” and “The Kingdom New Testament” were both rejected. It seems perverse that a title including “Kingdom” is acceptable in the anti-monarchist United States but not here in the United Kingdom. But how suitable is this version “for everyone”? As I haven’t seen the text I cannot judge it. But in the past (the link is to a 2005 comment which I found from Google, but my criticism dates back to a 2002 paper) I have been critical of the claims made that ESV is “one Bible for all of life”, and of similar claims for other versions. I don’t agree that any Bible version is suitable “for everyone”, even for all English speakers, as different people need different kinds of translation. For this reason Wright and SPCK would have done better to stick with the title “The Kingdom New Testament”. Theophrastus also discusses this version’s interesting rendering of 1 Timothy 2:11-12. I intend to discuss that in a further post. Available from Amazon.com: The Kingdom New Testament: A Contemporary Translation . The old title had come in for quite a lot of criticism, for example in comments on the linked post at Better Bibles Blog. The new one, it seems to me, is much better. Any comments? it will simply be the New Testament translation he did for the For Everybody series of commentaries published by Westminster John Knox Press. 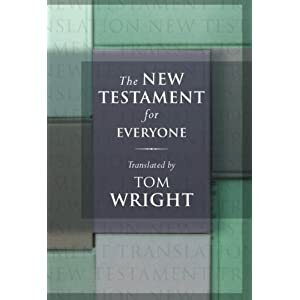 Well, there is hardly a need for yet another English New Testament translation, but it will be fascinating to see what Wright comes up with. But why the title “The King’s Version”? Who is “The King” here? Not Wright, I hope. But I guess this is just a marketing ploy. Thanks to Eddie Arthur on Twitter for the link.